From the Kitchen: Dirty Fryer and Flavor | Alconox Inc.
Q. How much does a dirty fryer affect the flavor of the food? A. We find that the biggest complaints about fried foods tasting “off” is from carbon build up – both in the oil AND on the fryer. Any light or delicate flavor that should be tasted in the foods are blunted by the heavier “greasier” flavors that are the hallmarks of a dirty frying program. To clean the oil, filter as often as is feasible and use a magnesium-based filter powder. This will remove the free floating carbon from the oil. 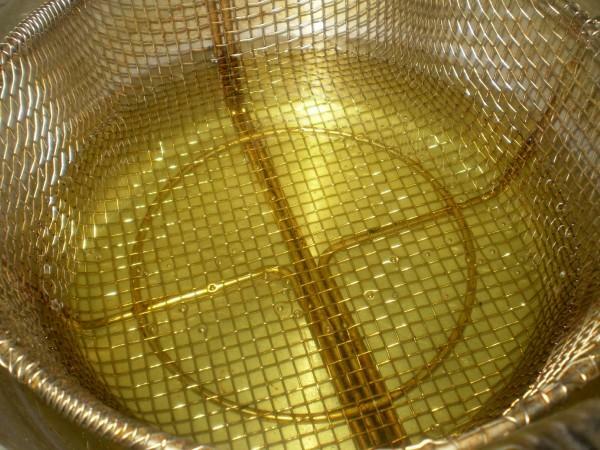 To clean the fryer, boil out with Alconox. Alconox powdered detergent is especially effective in breaking down the stubborn carbon buildup that clings to the walls of the fryer. Our unique chemistry removes the soils that can change the flavors of the foods, and then rinses away completely with fresh water, leaving the fryer ready to start producing the types of products restaurants can be proud of.